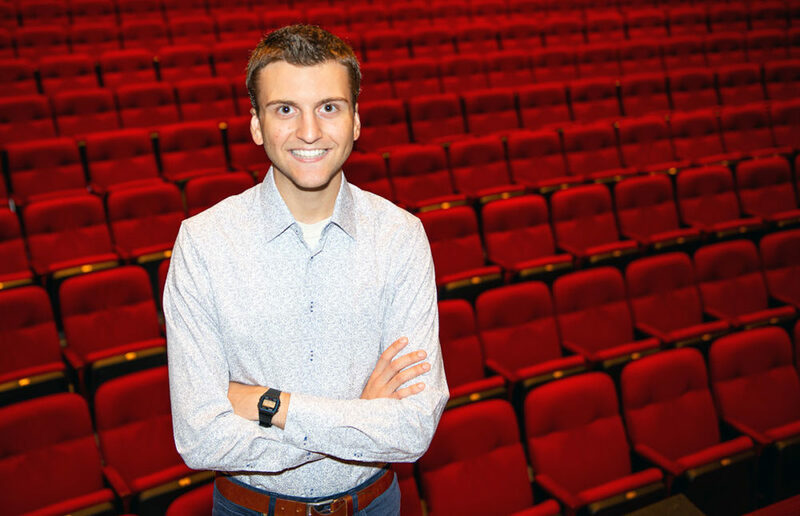 John Michael Walker’s scholarship, provided by the Hale family, helps him hit the right notes in his study of music and vocal performance. Coming from a single-parent home, I had always worried about how I’d pay for college. Not just tuition, but also all the hidden costs that go along with being a student: textbooks, access codes, meal plans. I would run numbers constantly, looking at my scholarships, calculating estimates, and hoping to avoid loans. Not attending college wasn’t an option either; I knew that if I wanted to find success in the music field, I’d need a degree. My scholarship through Ole Miss First, provided by the Hale family, is absolutely vital to my future. Covering half my tuition, my Ole Miss First scholarship gets my feet on the ground so that I can start running towards success. It helps me pay for textbooks and things I never even imagined, like a trip to sing in Carnegie Hall. Beyond the financial aspect, the Ole Miss First program guides me towards opportunities to get involved and helps me build cross-campus relationships that have proven vital to my academic success. I couldn’t be more grateful for the Hale family, whose generosity has uplifted me into a program that makes me a better student and a better citizen. Public Policy student Tyler Yarbrough grew up in the Mississippi Delta and is now traveling the world on the prestigious Stamps Scholarship. He plans to focus on education, philanthropic endeavors, and improving the Mississippi Delta when he graduates. Brendan Ryan deepened his relationship to and interest in Chinese culture through eight months spent in Xi’an, China, funded by the Stamps Leadership Scholarship. A Catalyzing Entrepreneurship and Economic Development scholarship through the McLean Institute for Public Service and Community Engagement allowed Elena Bauer to pursue her passion for studying youth leadership and workforce readiness.